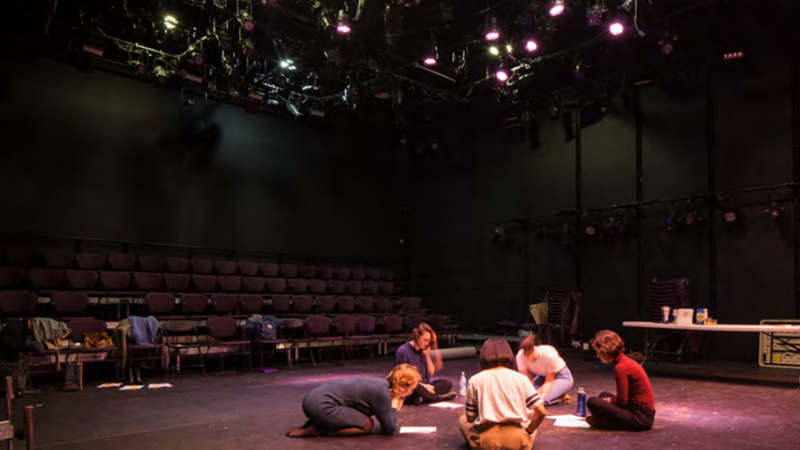 The Flea has three unique and intimate theaters which let us do more of of what we do best: help emerging artists practice their craft, allow established artists to try new things, and mid career artists establish their identity. We encourage your company to take a chance, think big, and produce work in our space. 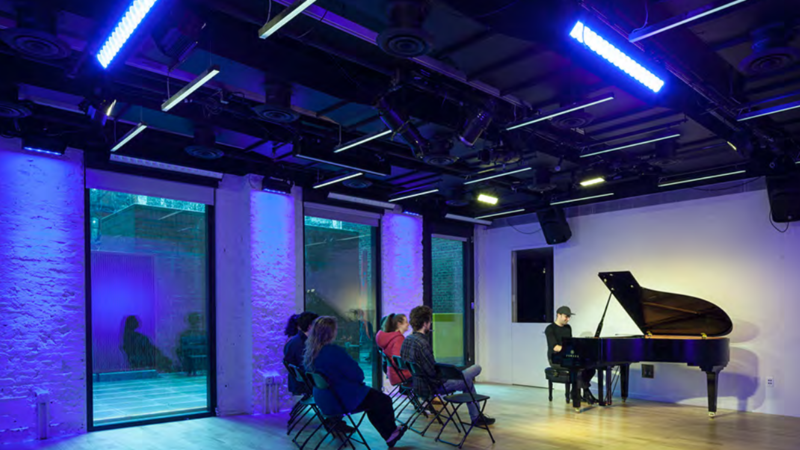 The Flea is known as a premiere venue for music and dance that pushes the envelope. Our small spaces let audiences experience the beauty of an unamplified voice or the thrill of an acrobat flipping mere inches away. 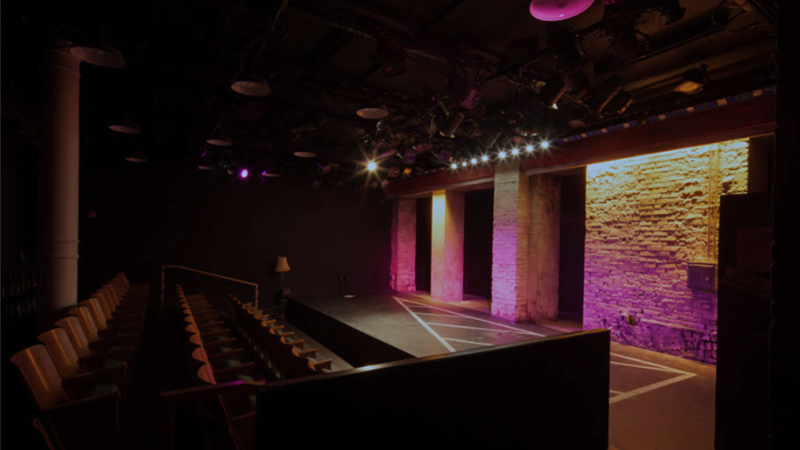 A host of theater companies have performed on our stages, including: New Georges, TOSOS, New York Deaf Theater and New York City Children’s Theater. Our spaces can be used for your company’s theater production, concert, dance performance, film shoot, or next big event–we like the think the possibilities are pretty endless! Let us know what you want to accomplish and we’ll give you the space to make it happen. Want to rent The Flea? The Sam, named in honor of legendary agent Sam Cohn, is the biggest and most flexible of The Flea’s three theaters, embracing the full range of performing arts. Elegant yet accessible, it is designed with the needs of today’s most innovative voices in theater, music and dance. The Pete, named for seminal playwright A.R. Gurney, is a ground-breaking design. Unique in all of New York City, it is an open, airy, and eccentric performance space. Accessible and welcoming, it showcases music and dance events as well as readings, workshops and hybrid performing arts performances. In its adaptability it entices artists who crave thinking “outside the box,” and the adjacency of the garden and theater spaces open myriad possibilities for master classes, late-night series and artists retreats. The Siggy is named after Flea founder − and continuing inspiration − Sigourney Weaver. The smallest theater in the building is our underground space for ground-breaking performance, reflecting Ms. Weaver’s career and our founding credo of “raising a joyful hell in a small space.” The Siggy’s configuration with a raised stage and multiple entrances also makes use of the building’s original arches dating from the 18th century. The intimate scale of The Siggy is perfect for young companies seeking to produce full-scale work without the burden of filling a large house. Need more than just a space? Consider becoming an Anchor Partner! As part of our mission to support emerging artists, The Flea has always offered a home to smaller companies. These are companies with spectacular creativity and loyal audiences but no home base. Now that we have a new home, we came up with a new way to serve them, and that is Anchor Partners. Each year we select a handful of companies to receive consistent access to one or more of our spaces, along with the support of our entire in-house team. It is our way of strengthening the arts community – many small spaces have closed in the past decade and left a gaping need. Anchor Partners is our response.